Athletes participating in international competitions often have to deal with the effects of long-distance air travel and changing time zones. Long distance flights can cause conflicts in circadian rhythms and sleep-wake cycles. 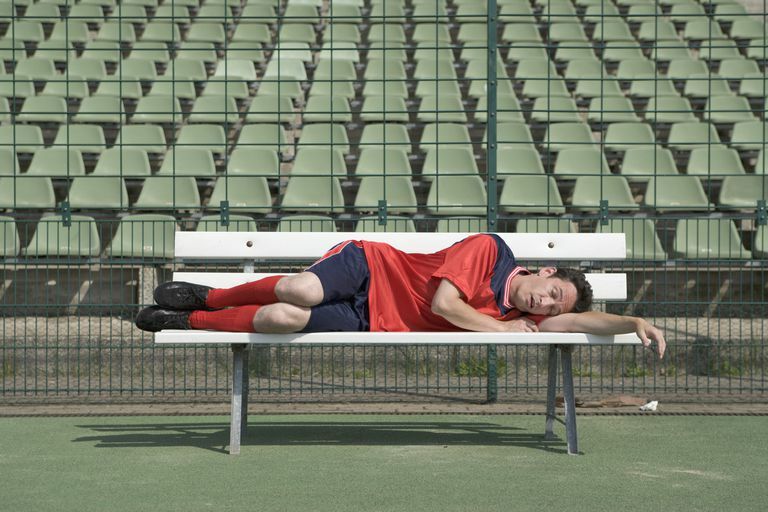 For many athletes, this leads to jet lag, a condition characterized by sleep loss, headaches, dizziness, fatigue, and reductions in energy, alertness, and cognition. Circadian rhythms are internally driven variations in an individual's biological and behavioral functions that cycle over roughly a 24 period. They can be modified by bright light, darkness, the hormone melatonin, and exercise, but the light-dark cycle of the environment seems to be the strongest influence. Does Jet Lag Reduce Sports Performance? While there is no clear research definitively stating whether or not jet lag reduces sports performance, it is likely that the symptoms of jet lag could result in decreased sports performance due to both physiological and emotional factors. Feeling fatigued is clearly not the optimal mindset in which to perform at one's best. Despite a clear link between jet lag and decreased performance still being outstanding, many athletes choose to "reset" their circadian rhythms to match the time zone of their destination city prior to competition. Some evidence supports the idea that circadian rhythms can be modified by being exposed to bright light and darkness, taking low dose melatonin supplements, and exercising at certain times of the day. Of the three, exposure to bright light seems to have the strongest influence on sleep-wake patterns. Bright light and darkness: Bright light has the most direct influence on shifting our circadian rhythms. The intensity, duration, and timing of the light are also important. Being exposed to bright light just before our lowest body temperature is reached (about 5:00 a.m.) delays our circadian cycle; being exposed to bright light after that time speeds up our circadian cycle. Melatonin: Melatonin may also influence the circadian cycle. Some evidence supports the idea that the circadian cycle may be delayed by taking a low dose (0.5 mg) of melatonin between morning and mid-afternoon hours, and that the cycle can be advanced by taking melatonin between mid-afternoon and bedtime. Exercise: The effects of exercise on circadian rhythms aren't well documented, but some research showed that exercising one to three hours may induce significant circadian phase shifts. For example, early morning exercise performed before body temperature is at its lowest has consistently been associated with circadian phase delays; early evening exercise results in circadian rhythm advances. Keep in mind that the timing of these interventions is critical, or the efforts could have the opposite effect. The International Federation of Sports Medicine issued guidelines for athletes who travel across time zones for competition. Here is a summary of their recommendations. Plan for travel well in advance to reduce stressful situations. Get plenty of sleep, and avoid sleep deprivation. Gradually shift the sleep schedule (30 to 60 minutes per day) toward that of your destination for a few days prior to departure. Use appropriately timed bright light and darkness, melatonin, or exercise to shift circadian rhythms. Drink plenty of water or fruit juice, and limit alcohol and caffeine intake in order to reduce dehydration from dry airplane air. Stretch, perform mild isometric exercises and walk (at least every hour) in order to minimize muscle stiffness and the risk of thrombosis associated with prolonged inactivity. Use earplugs to minimize noise exposure and improve sleep. Avoid taking sleeping pills without consulting your physician. Avoid heavy or exotic/spicy meals. Perform low-intensity exercise to reducing muscle stiffness. You may need to exercise indoors, depending upon the time of day, to avoid counteracting the desired circadian phase shift. Avoiding heavy training for the first few days after a long flight. Consider using appropriately timed bright light, melatonin, or exercise to shift circadian rhythms (see above). Advance your body clock to adjust to the new time zone by maximizing light exposure in the morning (after awakening) and minimizing light exposure at night before bedtime. If begun a few days before travel, travelers can gradually advance wake time and bedtime (about 30 minutes per day). After arrival, use your hometown's time zone to determine when to get light exposure. Maximize light exposure from 5:00 to 10:00 a.m. and minimize light exposure from midnight to 4:00 a.m.
Before departure, maximize light exposure during the four hours before bedtime and minimize light exposure during the four hours after awakening. Gradually delay bedtime and wake time (30 to 60 minutes later per day for the few days before travel). After arrival, using your hometown's time zone as a reference, maximize light exposure from midnight to 4:00 a.m. and minimize light from 5:00 to 9:00 a.m.
International Federation of Sports Medicine (FIMS) Position Statement: Air travel and performance in sports, March 2004.